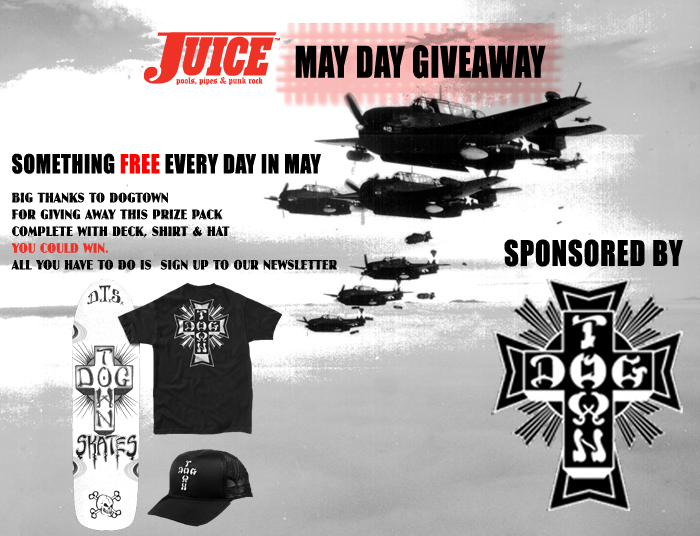 Big Thank You Dogtown Skateboards for giving away this product pack. Deck, Shirt, Hat to fully rep DT. Here’s how it works. Below you will find a form that tells you what’s up for grabs, numbers of entrants and how many entries you could possibly get. How can we tell if we won the daily? You can see the winners directly on this post. It says “And the winner is…” with the name below it. Make sure you enter today’s contest!